AURORA, OH: Video Products Inc (VPI) today announced a reduction of prices on its popular line HDMI Video Splitters. 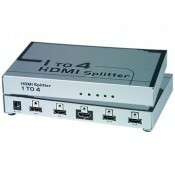 The prices of VPI's 4- and 8-port HDMI Video Splitters have been reduced by up to 48%. 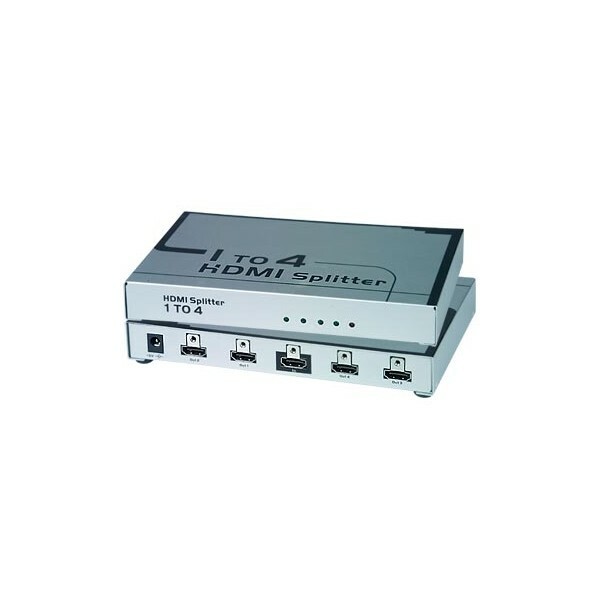 VPI's 4- and 8-port HDMI Video Splitters enable up to four or eight HDMI displays to be driven by a single HDMI source such as a DVD player, game console, HD set-top box, etc. The same crystal clear image is displayed on multiple monitors simultaneously. The HDMI Video splitters support HDTV resolutions of 480i, 480p, 720i, 720p, 1080i and 1080p, and computer resolutions up to 1920 x 1200. The VOPEX-HD-4-LC and VOPEX-HD-8-LC HDMI Video Splitters support the plug and play functionality and do not require any new software or drivers, making the set up process effortless. The input and output connectors for both HDMI Video Splitters are all female HDMI Type A and require HDMI male to male cables. The dimensions (WxDxH) of the 4-port HDMI Video Splitter are 7.0x4.5x0.9 inches and the dimensions (WxDxH) of the 8-port HDMI Video Splitter are 12.0x6.2x0.9 inches. Compliant with HDMI 1.3, HDCP 1.1 and DVI 1.0 standards, VPI's HDMI Video Splitters are an ideal multiple display solution for home theaters, conferences, conventions, restaurants, schools, corporate training and presentations, and much more. Available now for immediate sale, the HDMI Video Splitters are now priced at $60 for the 4-port and $125 for the 8-port splitter. Each package comes with the 4- or 8-port HDMI splitter, an AC power adapter, a 3ft HDMI male to male cable, and a user manual. To find more information regarding product specifications and purchasing, visit www.vpi.us/av-splitters/hdmi-splitter-48port-1636.